Zoloft and Weight: Does Zoloft(Sertraline) Cause Weight Gain? Zoloft and Weight: How Can Sertraline Affect the Body Weight? People taking Zoloft medication are under the risk of its several side effects. Zoloft weight loss and gain are the two issues commonly faced by individuals taking this antidepressant. While sertraline can help boost mood and relieve depression, it is essential for the patient to control the weight changes during treatment. How Can Zoloft Affect Body Weight? How Zoloft Affects Weight Gain? Can Zoloft Cause Weight Loss? Can You Lose or Gain Weight After Discontinuing Zoloft? There is a complex relationship between depression, Zoloft, and weight. Clinical studies have suggested that weight gain and loss may double the risk of developing depression. There is the hypothesis that side effects related to the changes in body mass are more likely to occur after consumption of ‘fat pharms’ for six months or longer. Health experts say that people taking antidepressant medications like Zoloft, Lexapro, Prozac, and other popular SSRIs can experience certain changes to their body mass. In a review published in the Cleveland Clinic Journal of Medicine in 2003, is stated that SSRI antidepressant drugs could cause weight gain in individuals who are taking the drug for more than six months. The weight changes generally occur with the prolonged usage of the medication and Zoloft weight gain and loss are possible side effects of sertraline. Health experts state that antidepressants contain ingredients that associate with the weight gain. Sertraline, for example, may trigger food cravings, especially for carbohydrates. It may also affect metabolism. Another possible explanation for Zoloft weight gain is when sertraline starts acting in the patient’s body they become less stressed and depressed, and that ultimately leads to regaining patient’s appetite. This scenario is only possible in case loss of appetite is a symptom of depression. However, overeating can also be a depression symptom that can be a reason for extra pounds regardless of the taking sertraline. 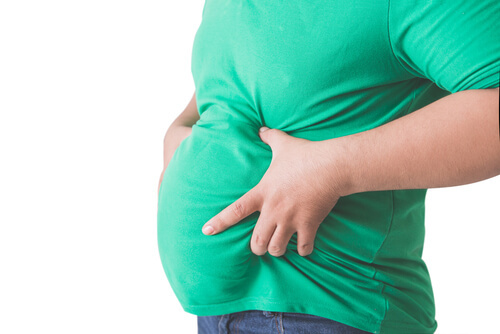 Individual factors like genetic interactions to sertraline including your metabolism, lifestyle, hormones, stress level, exercise, dietary intake, pregnancy or breastfeeding on Zoloft, and other conditions may influence the weight gain. Dosage is perhaps the most important factor in the equation. Does Zoloft make people gain weight? Yes, it does. In those who take a higher dosage of sertraline. Higher dosage means that people are giving the medication more control over their nervous system than the innate homeostatic functioning. In case, if an individual experiences weight gain at a lower dose, increased dosage can double the weight gain or lead to sertraline HCL high. Time span over which you have been taking sertraline plays a vital role in determining how many pounds you have gained. Prolonged usage of the drug makes individuals tolerant to its effects and leads to the dosage increase. If patients are taking other medications or mixing sertraline with substances like cannabis, or drinking hard liquors during Zoloft therapy, then they can’t rule out the fact that the interaction effect could increase the body mass. Before starting on Zoloft, get weighed and report about all mass changes to your concerned doctor. Learn the difference between having an appetite and being hungry and try to take food at the same time. Make more serotonin from other sources. By eating more carbs, for example. Avoid high proteins at dinner. While it is more likely for a person to get some extra pounds when taking sertraline, fat loss may also happen. If a person is burning a lot of extra calories or is following a reduced calorie diet, while being on Zoloft, the fat loss can occur. Loss of appetite and nausea are also two possible Zoloft side effects that could lead to weight loss. 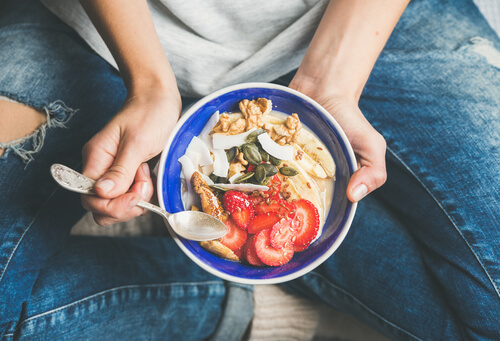 The study published in Psychoneuroendocrinology in 2016 stated that monkeys put on Sertraline HCL were found avoiding an increase in body fat, and insulin levels as compared to the monkeys who had just regular meals. People often surprised when they found out that they have gained 10-15 pounds while being on their medication post discontinuation. It can happen because drugs like Zoloft directly interact with the body functions at the core level. Metabolism, therefore, is certainly impacted making consequent weight gain just an accompanying effect from Zoloft discontinuation. Health professionals suggest the body retaining water may also be the reason for a sudden mass gain during Zoloft discontinuation. However, once sertrlaine is stopped and wholly excreted out of the body, excess water would be lost. Unfortunately, this process could take weeks. However, there are always methods provided by the health professionals to minimize the extra pounds gain. Patients can minimize the weight gain risk by receiving an individually planned diet plan and exercise regime. Aerobic exercises are the best-suitable technique to lose weight being on Zoloft post discontinuation period. If you have any queries related to weight changes caused by Zoloft that are concerning you or your loved one, call our 24-hour hotline at (888)-459-5511. All calls are free, secure and confidential. Addiction Resource » Addictive Substances: The Anatomy of Drug Addiction » What is Zoloft: Signs and Symptoms of Zoloft(Sertraline) Addiction » Zoloft and Weight: How Can Sertraline Affect the Body Weight? Hi there My name is Kayla.